Start your day with a hearty breakfast in our dining room looking out towards Skiddaw,and Latrigg with a choice of cereals, fresh fruit salads and yogurts, followed by a choice of hot breakfasts. This includes a full English, full vegetarian, smoked salmon or a lighter breakfast. All our breakfast ingredients are sourced locally with Cumbrian Sausage and local dry cured bacon provided by Cocklakes Farm. Our free range eggs are delivered from Scales Farm, at Embleton. We also cater for special diets, but please let us know at the time of booking. A choice of tea, coffee, fruit juices, and herbal teas are available. Whilst you are staying at Eden Green Guesthouse and enjoying the Lakes we want your stay to be as hassle free as possible which is why we offer the following facilities. We offer secure internal overnight cycle storage. We also have a selection of tools for minor repairs plus a jet washing facility for those muddy days on the Fells. We can provide a packed lunch for a small charge; just let us know the evening before. 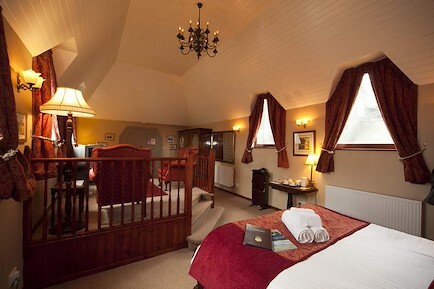 Eden Green Guesthouse is located in the town of Keswick within the Lake District National Park. It is located some 20 minutes from Junction 40 of the M6. Using motorways from Manchester it takes approximately 2 hours, whilst from the Midlands Keswick is around a 3 hour drive. The average journey time from London is approximately 5 ½ hours. The nearest railway station is at Penrith some 17 miles away and there are flights into the surrounding major cities of Newcastle, Manchester, Edinburgh, Glasgow, Liverpool and Blackpool, about 1 ¾ hours to 2 ½ hours away with car hire or taxis available at the airport. Your enquiry will be sent directly to Eden Green. Please fill in as much detail as you can.